There are two sides to Divanshu Kapoor’s story at FORE School of Management, New Delhi. The first is the usual fun-while-you-learn side. Like most of his colleagues, his Post Graduation memories of FORE include classroom debates with his batchmates and wonderful times with friends like Deepinder Singh, (Senior Account Manager at Wipro Infotech Ltd) and Neha Kasturia (Senior Research Analyst at KPMG Global Services). It is the flip side to his story that is rather amazing. Divanshu has the rare distinction of building a startup while still at FORE School of Management itself. Divanhsu shares with us the early stages of developing his Pharma Publications startup. It started as an idea, grew into a ‘Plan B’, has been fine-tuned several times, and is now a reality”. Rechristened as XLNT India (pronounced Excellent India), the Company today has earned a fairly good reputation as an IT solutions provider to educational institutions. The brainchild of Divanshu Kapoor (Batch 2009-11), the erstwhile Pharma Publishers started out by publishing books specific to the Pharma industry. Divanshu recalls how the Centre for Entrepreneurship Development (CED) at FORE School of Management, acted as an incubator to Pharma Publications. Interestingly, Divanshu did not immediately jump full-time into this entrepreneurial venture after passing out from FORE. He was placed on-campus at NIIT, where he worked for around two years; all this while nurturing the growth of Pharma Publications. Finally, in 2013, XLNT had hit a tipping point in terms of size and revenues. This gave Divanshu the ability to focus on XLNT India full-time. Today, XLNT India’s client-list includes Delhi University at one end of the higher educational spectrum in the heart of India, to Delhi Public School, Dhanbad, way out in East India. 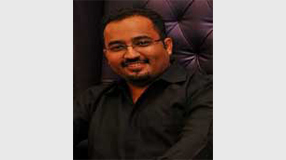 As a Founder-Director, Divanshu’s day revolves mainly around four aspects: clients, quality, expansion and new-tie-ups. This sector is probably the most challenging in the Indian context, and it tests your patience and persistence to the core. Divanshu has made a deliberate attempt to be faithful to the core clientele; XLNT boasts of being the only company in the education sector to offer Scholarships to Pharmacy Students.